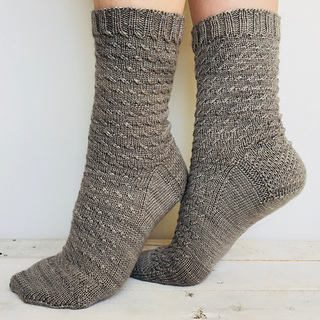 Whitecap is a basic sock pattern with a few figurative and literal twists. The twisted stitches, which resemble whitecaps on the water, slant in opposite directions. 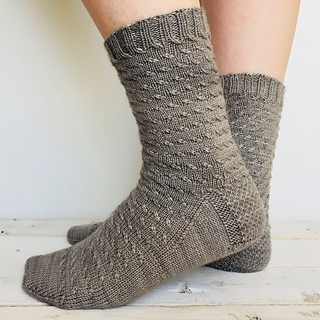 The left sock is worked solely with left twists, and the right sock is worked solely with right twists, creating a mirrored effect. 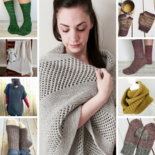 The pattern is both engaging and easily memorized, with four knit “rest” rounds between twists, and works well with solid, semi-solid, tonal, and variegated sock yarns. Choose a size with a finished foot circumference approximately 10% smaller than the wearer’s actual foot circumference. 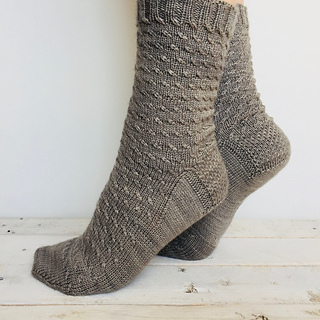 Shown in Manos Del Uruguay Alegria (75% Wool, 25% Polyamide; 405 m/445 yd per 100 g/3.53 oz skein) in colour Nickel (A2530); 1 skein.